Genetic technologies are being implemented in areas beyond the realm of medicine to address social and legal issues. One of them is immigration and the use of genetic testing offers the potential benefits of reducing immigration fraud and making the process more efficient and accessible for immigrants, especially those are without documents. Since the 1990s, Canadian immigration officers have used genetic test results from family reunification claimants to confirm their biological relationships. Genetic tests could also be used to determine the exact age of immigrants or to determine if a person is affected by or is more likely to develop a specific disease that would result in an excessive demand for health services in a country. Family reunification (also known as family sponsorship) can be achieved in a variety of ways, including through derived citizenship, permanent residence, visa and permit, or through other statuses recognized on the basis of humanitarian claims. For some, citizens or holders of long-term resident status (permanent residents or refugees) have the right to have their family members living abroad together. For others, members of the family of persons lawfully resident in a particular foreign country have the right to be able to meet in that country. But, when the evidence presented in support of the existence of a family relationship is not satisfactory, immigration officers may propose genetic testing as a last resort to prove the biological relationship. These tests also raise considerable legal and ethical issues related to the informed consent process, confidentiality and feedback. Some would have used genetic testing services directly from consumers to obtain additional information on the geographical origin of detainees who were to be deported. The accuracy of these tests is very variable and depends on the quality of the database used by each company. 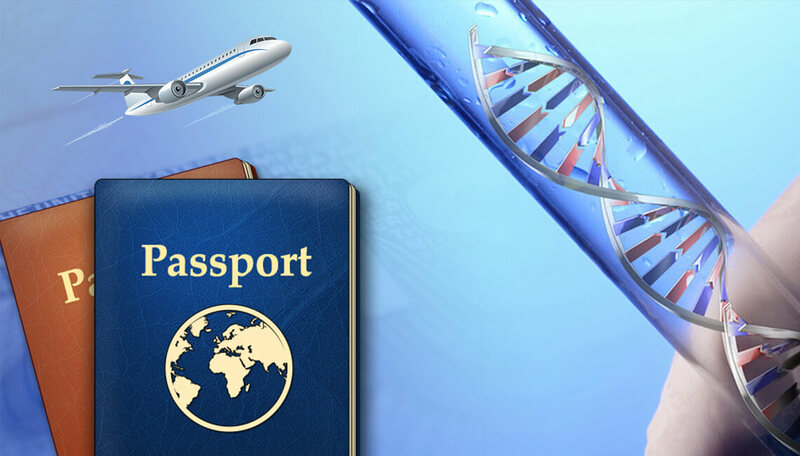 Although genetic ancestry tests may reveal information on ancestry, geographic origin or biological parents of an individual, this information does not identify the country of citizenship of an individual. It also raises ethical and legal issues related to consent and confidentiality that are more prevalent when dealing with an individual in a vulnerable position. The rapid development of genomic medicine suggests that diagnostic tests and predictive tests could potentially be part of the already controversial medical screening process for applicants for permanent residence in foreign country. For now, these predictive tests are accurate only for a handful of specific diseases (e.g. Huntington’s disease, sickle cell disease, hereditary breast cancer). Their use without an appropriate ethical framework raises similar issues with respect to discrimination, informed consent, privacy, return of results and scientific uncertainty. Epigenetics investigates the biological mechanisms that can activate genes, is expected to improve our understanding of genetics, aging, evolution, and agricultural processes. Epigenetics is a young science whose most promising applications are still limited to research projects. It has recently been used in Germany to try to more accurately determine the age of migrants and to prevent people from fraudulently claiming that a minor is receiving more favorable treatment. The use of the epigenetic clock method is gaining ground, but it is still premature, in our opinion, to implement it outside the context of research. Some foreign agencies should only apply them after a full and transparent review of their scientific limitations and ethical issues, such as the one conducted more of ten years to better understand the use of biometrics Technology. Only then they decide to move on to some of these tests, supported by an appropriate ethical governance framework that will ensure respect for the rights of immigrants, who are in a vulnerable position upon their arrival in foreign country. 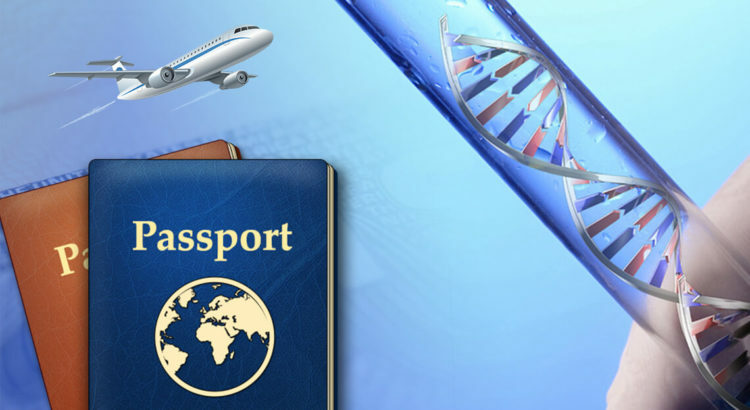 For further queries related to Immigration DNA tests visit our website and book your appointment today or Contact us for DNA tests or speak with our DDC Laboratories India executive, call us at: +91 7042446667, 9266615552.